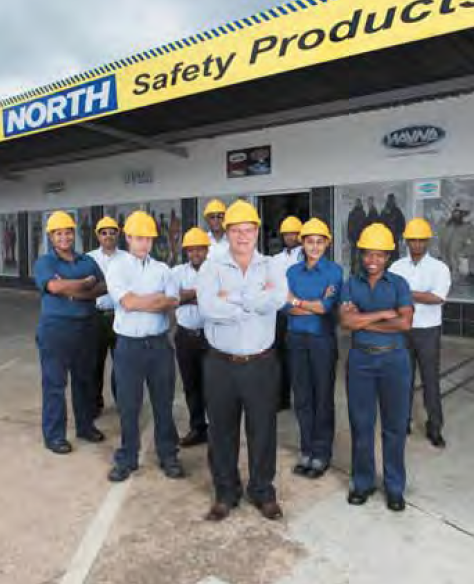 North Safety Products Africa continues to grow as one of South Africa’s leading providers of personal safety related products for the workplace, with particular focus being placed on customer service, expansion into Africa and strategic business partnerships. 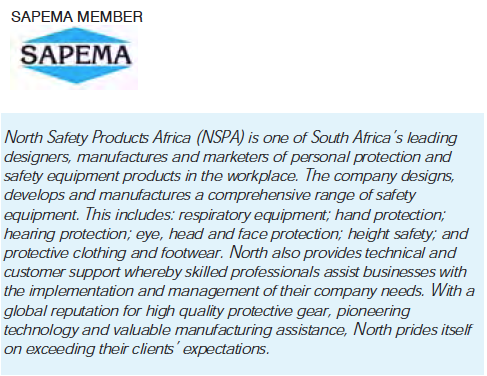 The Pinetown-based company has a reputation as one of South Africa’s premier designers, developers, manufacturers and suppliers of personal protection equipment (PPE) and related safety products that are ideally-suited to a number of industries and applications. According to Garvie, North prides itself in exceeding its clients’ expectations and constantly looks for opportunities to make improvements. “Currently we are focused on bettering our serviceability. There are so many players in this sector and not everyone gives customers the service they’re entitled to.” To accommodate all customers, North has opened a chain of retail stores around the country. “We see a huge market for smaller buyers looking for PPE supply for their own businesses. Our retail section is going to be about servicing the smaller business units, who have been neglected in the past,” says Garvie. Consolidating on its success, a primary aim for North has been to break into the African market. “We’re growing our business via investments into Africa,” notes Garvie. “We already have controlling interests in companies based in Mozambique, Zambia, the DRC and Kenya, and are supported by stable partnerships with local associates there.” Recognising that staff members are the company’s most valuable resource, Garvie contends that it is vital to invest in their development. “We equip employees with the tools for overall job satisfaction and provide them with opportunities to reach the next level of expertise. 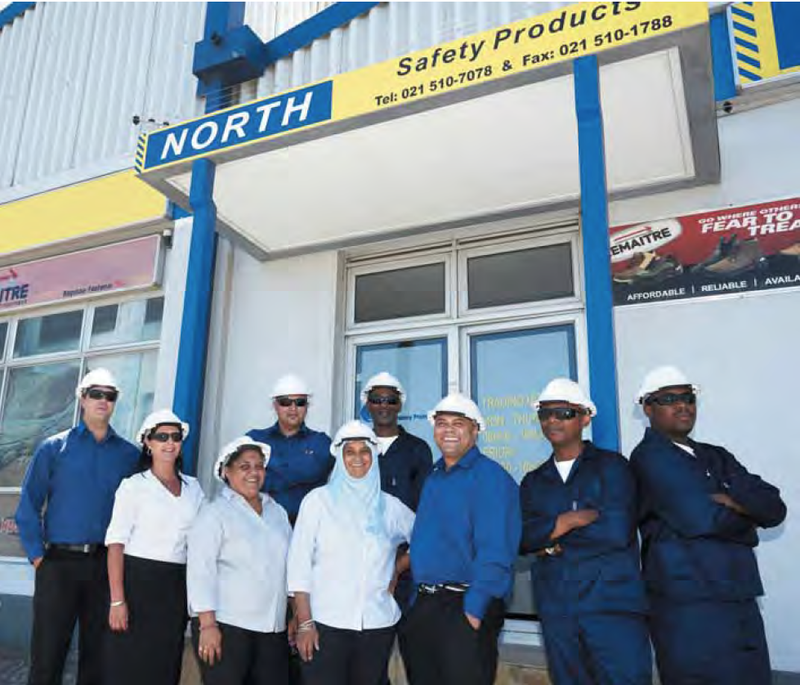 employees.” Ultimately, Garvie believes there are three factors influencing North’s success. 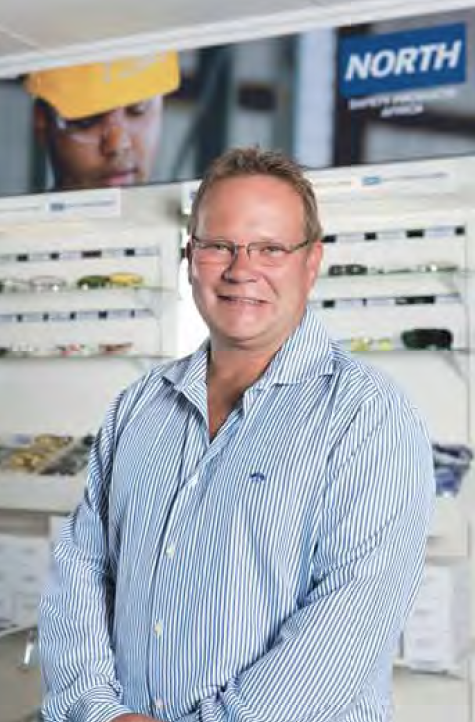 “I believe that our national footprint, together with our investment in Africa, having dedicated staff and paying particular attention to customer service are all standing us in good stead to remain an industry leader,” he concludes. 2014 North. All Rights Reserved.